We are happy to post that the crew member has been found by Carnival Glory almost 24 hours later north of Cuba. You can read the very latest about this here. 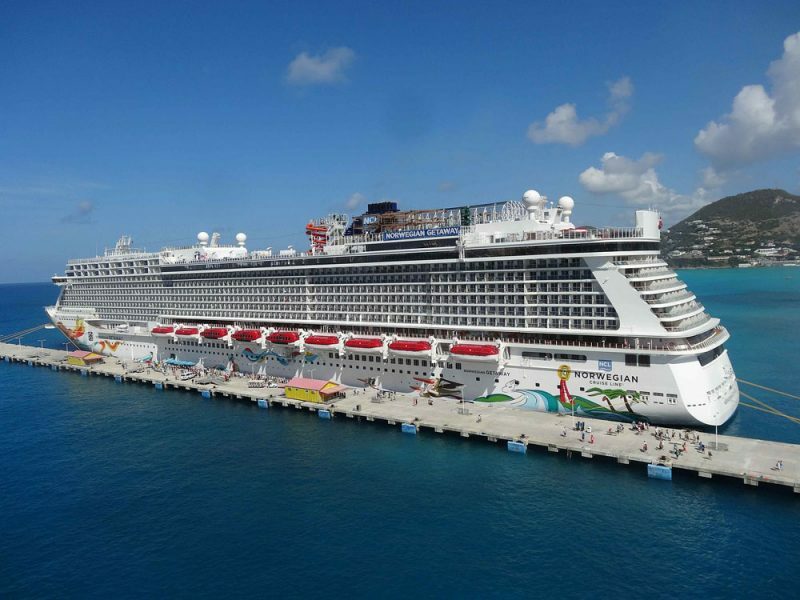 The U.S Coast Guard is searching for a missing crew member after going overboard the Norwegian Getaway cruise ship on Saturday, June 30. A 33-year-old Filipino crew member who is yet to be named is overboard the Norwegian Getaway and is now missing with a search operation by the U.S. Coast Guard underway. When the large NCL operated vessel was around 28 miles northwest of Pinar del Rio, Cuba the crew member was apparently seen going overboard. The ship’s crew notified the Coast Guard at around 3:20 PM on Saturday and a search was launched. The search included an Ocean Sentry airplane. With no good news and now as the 24 hours period approaches the search could be called off. At the time the Norwegian Getaway was sailing back towards her homeport in Miami, Florida and the ship is scheduled to arrive there on Sunday, July 1. The second breakaway class ship is ending a 7-night western Caribbean cruise which included calls in Costa Maya, Harvest Caye, Roatan and finally Cozumel in Mexico. Norwegian Getaway is a 145,650 gross ton cruise ship with a guest capacity of over 4,000 at double occupancy. Our thoughts go out to the crew members family and friends during this very difficult time. The crew on ships work so hard on making sure guests have a great cruise vacation and we hope all crew does stay safe. Sadly these tragedies do happen and often they involve crew members. in May we posted about a crew member who went overboard the MSC Seaside which is also based out of Miami.